Cass can pull back the Veil that seperates the living from the dead. When Cass's parents start presenting a TV show about the world's most haunted places, the family heads off to Edinburugh. Here, graveyards, castles and secret passageways teem with restless phantoms. But when Cass meets a girl who shares her "gift", she realizes how much she still has to learn about the Veil - and herself. And she'll have to learn fast. 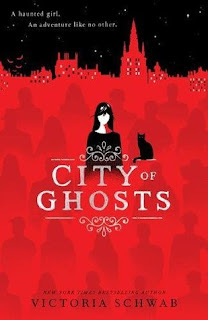 The city of ghosts is more dangerous than she ever imagined. Before I go any further, I just want to clarify: this book is told through a child's perspective, this book was written with the intention of child readers and I will be reviewing this book with that in mind. Even if this book was put out on the Young Adult tables at my local Waterstones. I really loved the perspective of Cass; she spoke to the reader and explained the abnormal aspects of her life in a way that was eye to eye with the reader. As a child, the one thing that I got frustrated with more than anything was feeling like I was being talked down to. There was this wonderful element brought to the page where Cass and Jacob (her ghostly BFF) felt like they could be your friends. 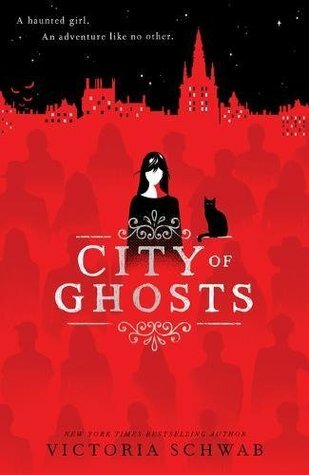 I've heard Victoria mention City of Ghosts hundreds of times, answering questions, why she wrote it and what this book means for her. 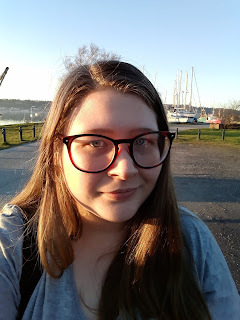 But, there becomes a point where those things can inform your reading experience, before you begin to make your own connection between the author and characters, and between yourself and the story. For every sentences I could feel Victoria's wanderlust and admiration for the city of Edinburgh. A deep passion that encompassed the setting and drew me completely in - it was wonderful! Furthermore, this book is still rich with Victoria's prose. It's pared back, and the plot line simplified, but that doesn't do any injustice to Schwab's inexplicable craft. This book has been pitched as "Stranger Things" plus Ghost Hunters and, and while I agree, I would also go for: Coraline meets The Woman in Black. I am dying to get my brother and sister to read this - granted, I may have to buy another copy - but this was such brilliant, haunting story.